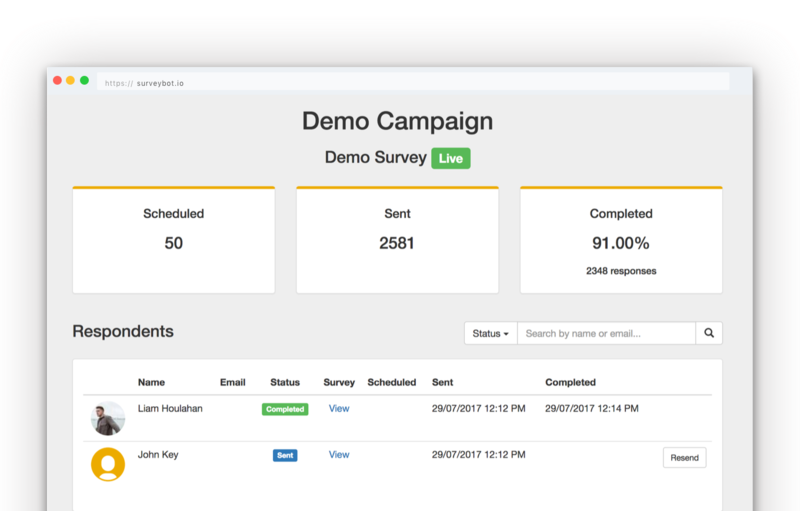 Send your chatbot surveys direct to your employees on Facebook Workplace. 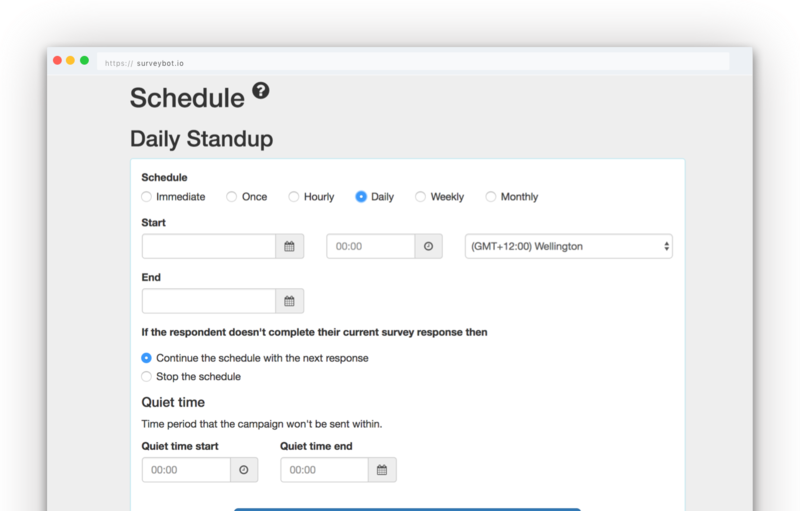 Create multiple campaigns to send your surveys in different ways to different groups of employees. 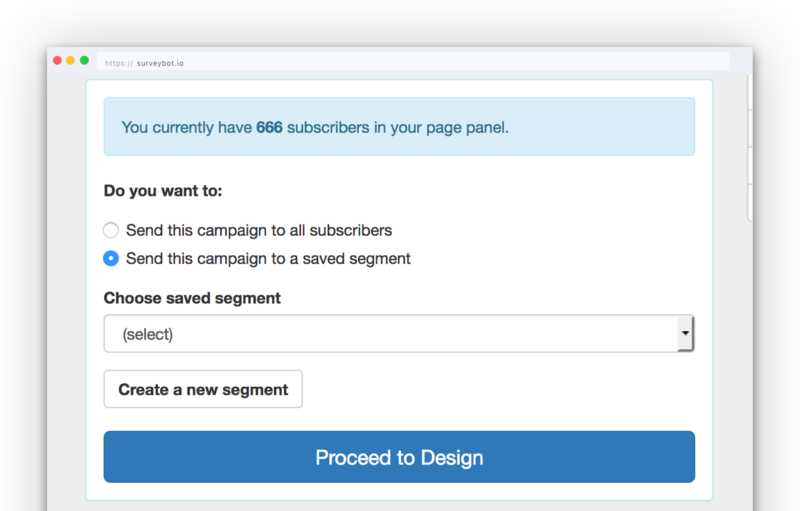 Target your panel segments directly sending them new surveys over Facebook Workplace. Send surveys over Facebook Workplace to your panel employees. 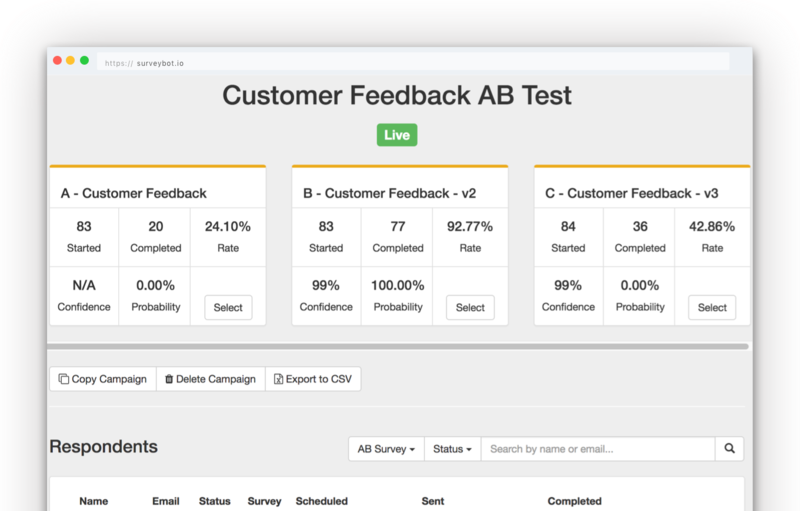 Customise the opt in buttons given to employees to start a campaign survey.